Sagan, who was an ardent user of marijuana, wrote those words in 1971. Nearly 50 years later, his dream of marijuana legalization is a widespread reality. The movement to legalize marijuana and its cousin hemp continues apace, generating intense investor interest. As often happens when a “disruptive” industry is booming, we’re also seeing a proliferation of marijuana penny stocks. Some of these stocks are appealing plays, but many others are hyped-up scams that prey on the gullible. 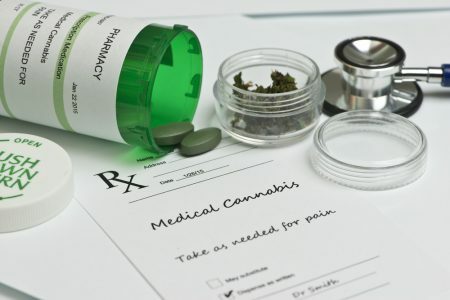 A pot penny stock garnering attention lately is Colorado-based United Cannabis (OTC: CNAB), which produces and distributes medical marijuana in the U.S.
Is United Cannabis a worthwhile investment? Or is it just another penny stock gamble? Below is my assessment of CNAB and its likely prospects in 2019. With a market cap of $30 million, United Cannabis refers to itself as a biotechnology company. It’s actually a bit more diversified than that. 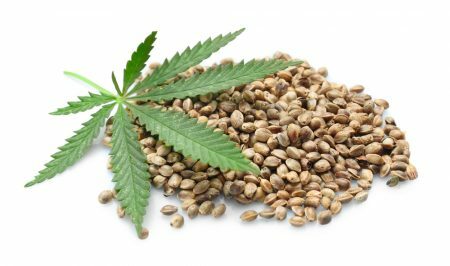 The company operates an industrial hemp farm program and cannabinoid (CBD) extraction facilities. It also produces CBD sublingual drops, capsules and topical creams. The firm’s Prana Bio Medicinal branded products provide patients a way to use CBDs for therapeutic purposes. United Cannabis’ portfolio of products includes more than 30 cannabis-infused treatments distributed in three states and Puerto Rico. How Has United Cannabis Stock Performed? What is United Cannabis’ Stock History? Over the past year, CNAB shares have fallen 71.9% whereas the S&P 500 has lost 5% (see chart). How Has United Cannabis Stock Performed in 2017/2018? In 2017, United Cannabis shares rose 29% whereas the S&P 500 gained 19%. In 2018, United Cannabis shares fell 70% whereas the S&P 500 has lost 5%. 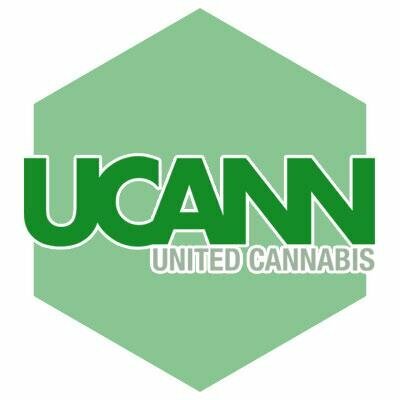 Who Are United Cannabis’ Rivals? Aurora Cannabis (market cap: $6.9 billion ) operates in 22 countries and holds partnership agreements with several drug retail chains for the distribution, sale, and marketing of medical cannabis products. Aurora also operates CanvasRX, a network of counseling centers for marijuana medical treatment. GB Sciences (market cap: $36.4 million) is developing cultivation and extraction techniques and combining them with biotechnology to produce cannabinoid (CBD) products for medical and recreational purposes. The company holds an agreement with Growblox Sciences, Puerto Rico, LLC that grants the right to its technology and intellectual property. GB Sciences also holds agreements to distribute cannabis-infused coffees and teas and grow various marijuana strains. With a market cap of $38.3 million, GB Sciences is based in Las Vegas and primarily operates in Nevada. Abattis also claims that it seeks the acquisition of intellectual property rights to ag-tech for use in the extraction and processing of botanical ingredients. The thriving medical marijuana market is prompting venture capitalists to open their wallets. Venture capital firm Tangiers Global provided United Cannabis with $10 million in funding in 2017. With a market cap of $30 million and projected annual revenue in fiscal 2018 of $7 million, the company trades at slightly more than 4x revenue. That’s actually one of the lower valuations I’ve seen among marijuana companies that actually have millions in revenue. On that basis, the stock is underpriced. United Cannabis’ Prana Medicinal Plan is poised to start clinical trials. Phase 1 trials already are underway for the firm’s Prana Bio Nutrient Medicinals P1 Capsules, for the treatment of chronic pain, at Jamaica’s University of the West Indies. Here’s a video interview with Brent A. Reynolds, Ph.D, the chief medical advisor at United Cannabis, in which he describes the company’s medical products in greater detail. A deeper dive into the financials raises doubts about the company. United Cannabis posted $1.86 million of revenue in Q2 2018 and $2.13 million in Q3. In a December press release, the management estimated Q4 revenues of between $2 million and $2.5 million, with total year revenues of between $6.5 million and $7 million. But does the company make money? Alas, no. Although revenue has increased, so have net losses. The last 12 months showed a net loss of over $23 million. However, we have to back out a lot of non-cash items. The net operational cash burn was about $5.3 million, with free cash flow negative to the tune of $8.25 million. On the plus side, the company yields gross profits. However, those margins are around 25%, which generally speaking are low. Selling, general and administrative (SG&A) and other operating expenses are high. During the last 12 months, SG&A expenses were over $11 million. Operating expenses totaled $24.5 million. Operating cash flow was negative over the past 12 months to the tune of $3.7 million, with negative free cash flow hitting $6 million. As marijuana becomes more of a commodity and product prices come under pressure, I expect United Cannabis’ financials to deteriorate. As the above stock price chart shows, United Cannabis has experienced its share of temporary upward spikes due to event catalysts such as favorable legislation. However, the price has fallen back down to earth. I don’t expect meaningful upward trajectory for United Cannabis in 2019. The hype over the company is fading and investors are shrewdly moving on to better capitalized names. For the next few months, the stock will probably trade in a narrow range of between 38 cents and 42 cents. I also expect marijuana industry consolidation this year, which would clobber unprofitable microcaps such as United Cannabis. Many cannabis biotechs are starting with great promise, but they’ll eventually go belly up amid the inevitable shake-out. Stay away from United Cannabis. CNAB is a legitimate business but it continues to lose money and offers no compelling story for individual investors.